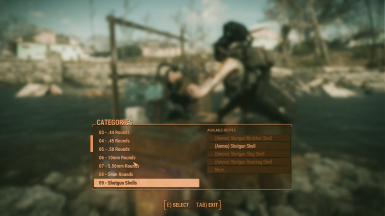 Merges the Ammo Crafting Workbench and the workbench from Loads of Ammo and optionally adjusts crafting recipes. Updated the Patches to add the tags of the new grenade types. 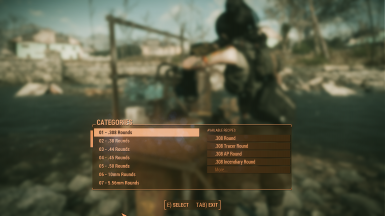 Updated the mod for Loads of Ammo v1.11 (should fix the ammunition switchers not showing in the crafting menu). Seperated the patches and the main files into seperate installers. Fixed the install mucking up when trying to install the VIS patch. 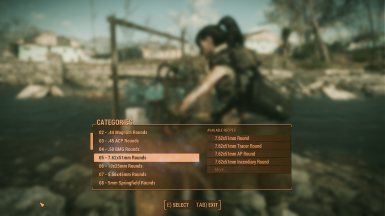 I am sorry but I do not see myself playing Fallout 4 again in the future. 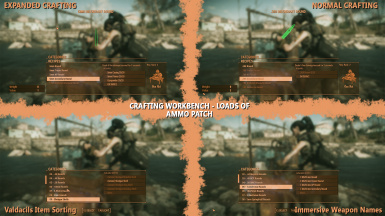 The mod should still work with Crafting Workbenches version 2.1 and Loads of Ammo version 1.31 (Latest versions as of this message) from my quick check in fo4edit. 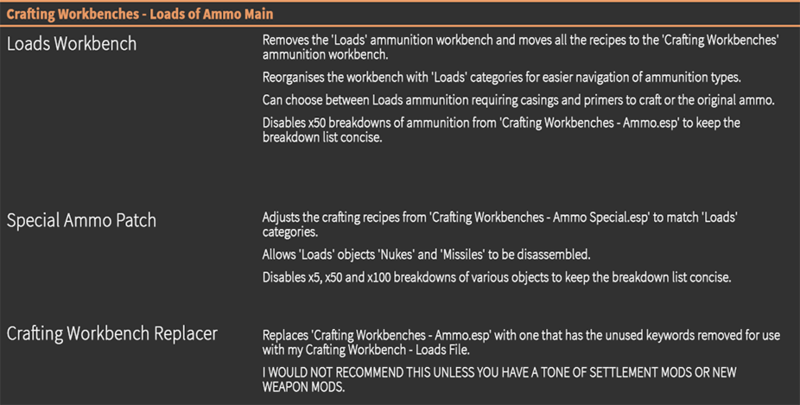 My patch already corrects the ammo amount produced from 'Crafting Workbenches' and the only things missing from 'Loads' are two new grenade types for the M79 Grenade Launcher. 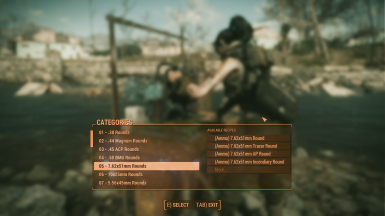 Thanks to drdanzel for Crafting Workbenches and Talkie Toaster for Loads of Ammo - Switchable ammunition Types and for allowing me to upload this patch. 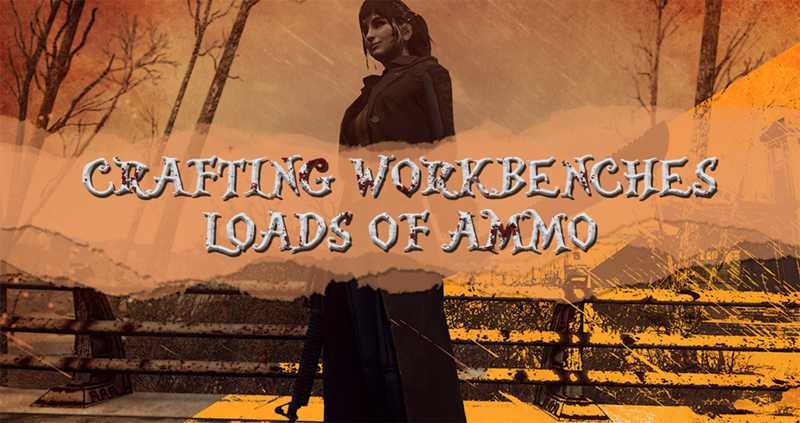 Crafting Workbenches v2.0 and Loads of Ammo v1.2 as of latest update. If anyone knows how to fix the formatting of the NMM Installer please tell me. At the moment the text only displays properly in MO.